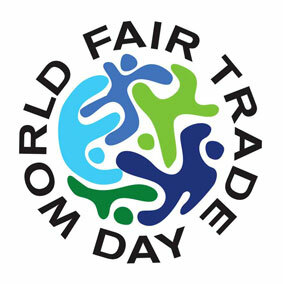 There is a very loud event on the eco-ethics calendar this year to mark World Fair Trade Day. On the 9th of May BIG BANG!! will draw the world's attention to the collective efforts of those involved in the Fair Trade movement. BIG BANG!! is a series of non stop drumming event crawling across the globe. Starting in New Zealand at first light a solo drummer will begin the beat continuum. Drummers from cultures all over the world will be joining in with the close of day drums in Samoa. People from African to Iceland to Nepal, all over the world are getting involved. The organisers of BIG BANG!! 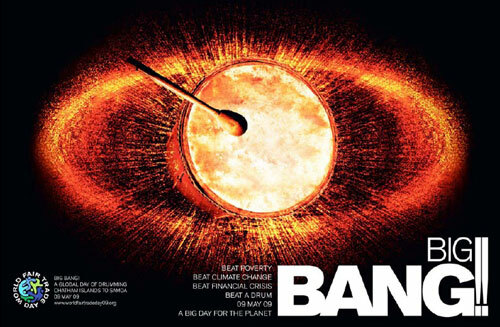 intend it to be just that - make a big bang to wake those that do not realise the effect that the hazy underworld of unethical, imbalanced, inhumane trade has on the poorest people of the world. Millions of farmers, producers, performers and celebrities across the globe including Sir Paul McCartney, Annie Lennox and Eddie Izzard will join together to generate awareness about the importance of transparent and accountable trade practices to make trade fair for all. Fair Trade can be the solution to poverty, climate change and economic crisis. Paul Myers, president, World Fair Trade Organization says these three issues come "from the same place - greed and ignorance. We don't have to wreck the future to meet the needs of today." So if there ever was a time to dust off those bongo drums you bought on that exotic holiday abroad years back, now's the time. Drum loud, buy Fair Trade. For more information visit Big Bang!! website.